This tour is perfect for those who want to see the most essential sites of Seoul in a single morning. With more than 4,000 years of history to its name, there’s no way you can learn all about Korea in a single trip. But spare a single morning and you will get an overview of all the major facets of Korean life, culture and history. 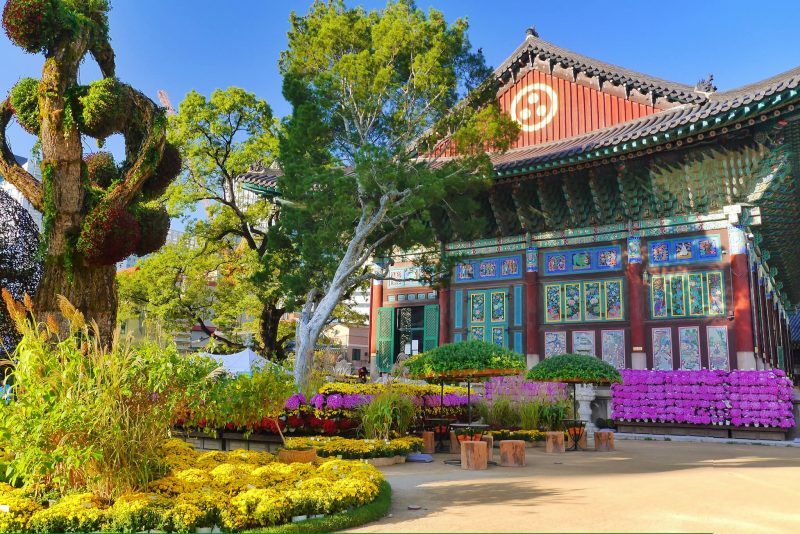 On this tour, you’ll visit the most influential Buddhist Temple in Korea today, Korea’s main royal palace and a showcase from the Presidential residence. It’s all the must-see attractions in one single morning. Jogyesa Temple is the most influential Buddhist temple in Seoul. It sits peacefully among corporate skyscrapers and chain coffee shops. Monks maintain a beautiful garden that hits all the colors on the spectrum. Be sure to bring your camera; it is beautiful. Nestled at the base of towering mountains and next to the Presidential headquarters (the Blue House) is the President’s showcase of Korea’s history and culture as well as Presidents of years past. It’s a great introduction to Korean culture and history and a fantastic way to become familiarized with Korea. You will also have a few photo opportunities at the Blue House (the Presidential Headquarters). 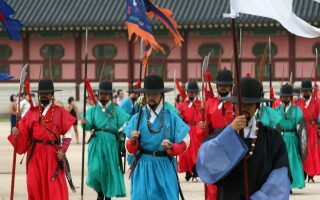 During the tour you’ll witness the Changing of the Guard Ceremony, a rare traditional scene that takes place in the middle of ultra modern Seoul. It’s extraordinary to see an ancient custom that started in 1469 continue in present day. The largest and most expansive of all the royal palaces, Gyeongbokgung is arguably the greatest of them all. 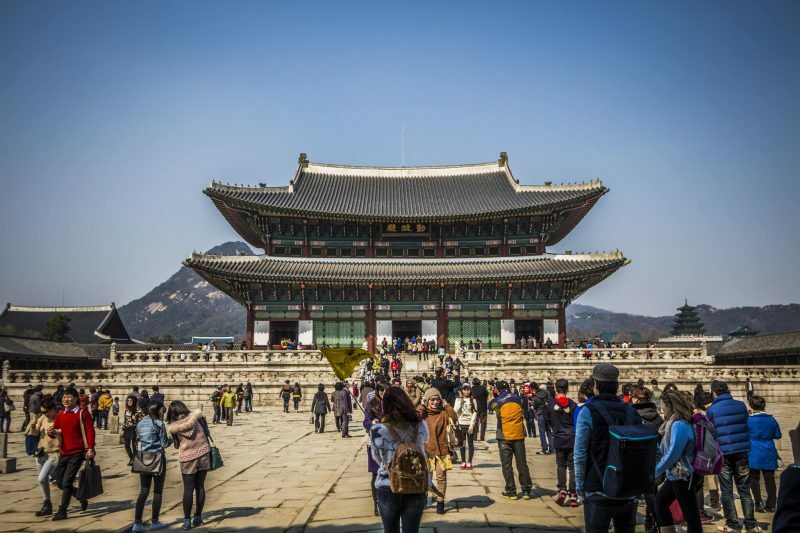 It’s surrounded by Mount Bugaksan, Mount Namsan, and palaces; Gyeongbokgung Palace is indeed at the heart of Seoul. 35 USD per person. From 9AM to 12:30PM. On this tour you’ll get to see all of Seoul’s must-see attractions in one single morning. You’ll get personalized transportation directly from your hotel and visit four essential Seoul attractions. You’ll get a rare combination of ancient and modern history, religion, culture and tradition before you’re hungry for lunch! Pickups: Directly at your hotel. – Processed safely and securely by PayPal. Credit cards are accepted on the PayPal checkout page. – Refunds are 100% guaranteed until 2 days before the tour. – All tours stop at Amethst/Ginseng Center.